ZaidLearn: The TEST-Learning Framework Finally Unleashed! 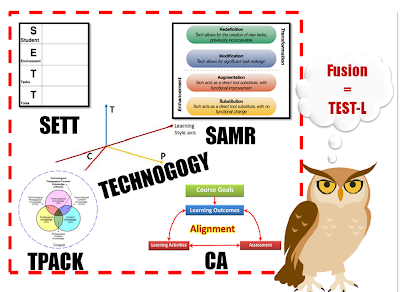 The TEST-Learning Framework Finally Unleashed! How do we use technology to TRANSFORM learning (at our University)? If you are interested in what you see and want to know more, please contact me. 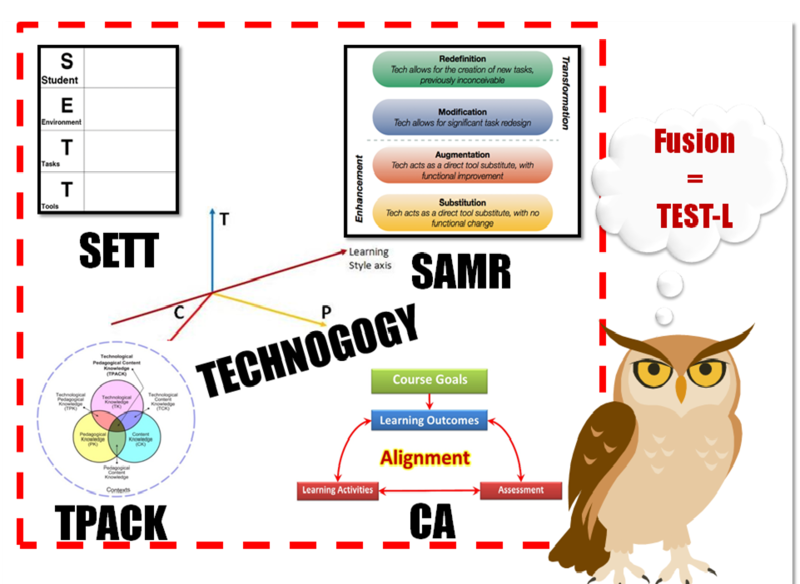 This learning framework has yet to be presented at a conference (exception: old version), or published as a paper (by the author, who happens to be me!). However, Insya-Allah the TEST-Learning Framework will become the most exciting and applied learning framework on the planet by 2015 for using technology to transform learning at any level; from primary, secondary, tertiary to corporate learning. 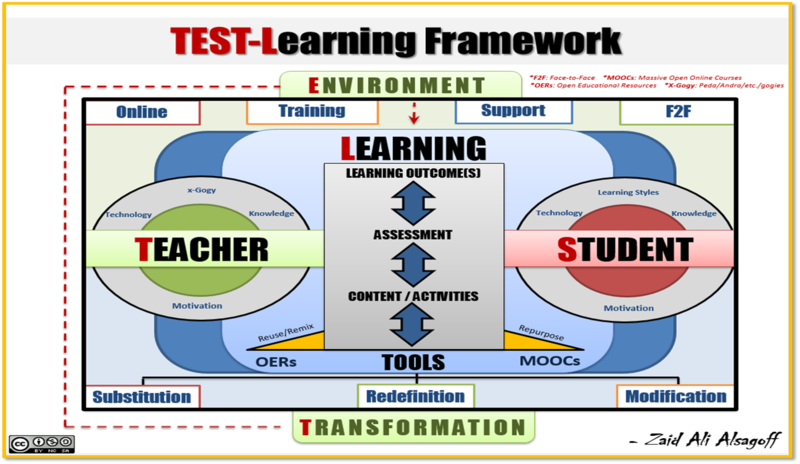 Secondly, the TEST-Learning Framework is an organic and fluid framework continuously evolving as experts and educators slam it.